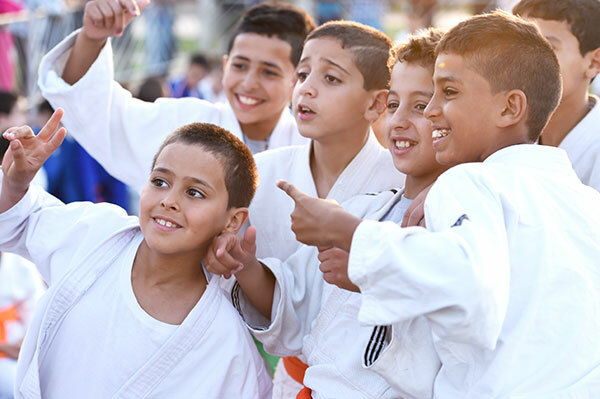 The second day of the World Judo Masters, Mohammed VI, Rabat, Morocco, featured the last seven categories as the women’s -70kg, -78kg and 78kg and men’s -81kg, -90kg, -100kg and +100kg judoka were all in action at the Palace of Sport. World number one and silver medallist a few weeks ago in Baku on the occasion of the first Grand Slam of the year, Kim POLLING (NED) confirmed today that she is in good condition. Opposed to Gevrise EMANE (FRA) (former world champion and London 2012 Olympic bronze medallist) in the second round, she controlled the fight and pushed the French to be penalised four times for hansoku-make. In the semi-final, she defeated Bernadette GRAF (AUT), to be opposed to the current world champion, Yuri ALVEAR (COL) in the final. 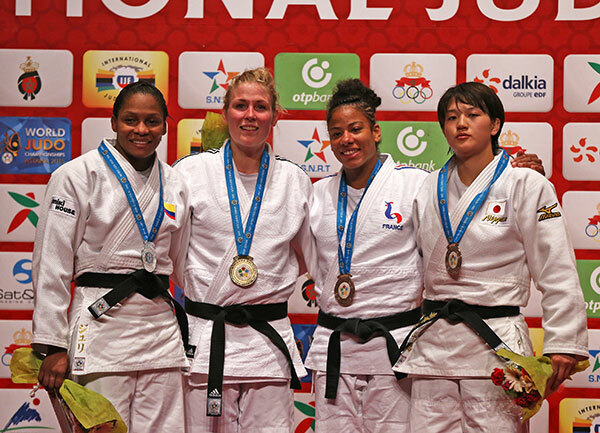 Once again, the Columbian proved to be present on the occasion of a major event after having defeated Antonia MOREIRA (ANG), Naranjargal TSEND AYUSH (MGL) and Fanny Estelle POSVITE (FRA) during the preliminary rounds. The first to launch a terrific attack with uchi-mata, was POLLING, but for no score, ALVEAR being able to escape. A bit later, the Dutch was again dangerous with a ura-nage, once again for no score, as the Columbian landed on her stomach. The next counter attack was more successful, POLLING scoring a yuko. After a last attack for no score, POLLING could finally enjoy her victory. The first bronze medal fight opposed the two French teammates, one representing the experience, Gevrise EMANE (FRA), the second, Estelle POSVITE Fanny, the young generation. In this category, the qualification for the Games will not be easy for team France. EMANE was the first one to be penalised for passivity after a few seconds. It was then the turn of POSVITE, twice, and again EMANE. Two shido each. Finally, 10 seconds before the end of the fight, Gevrise EMANE received a third shido, giving the victory to her teammate POSVITE. The second bronze medal fight opposed ARAI Chizuru (JPN) and Bernadette GRAF (AUT) and only one single shido separated the two athlete in the advantage of ARAI Chizuru. A final between Audrey TCHEUMEO (FRA) and Kayla HARRISON (USA) was expected in Rabat, but only the American could make it to the final, the French being surprisingly defeated by Natalie POWELL (GBR) in quarter-final, after having been disqualified for a direct leg grab. With only a second place in Samsun this year, being in the final already represent a fantastic achievement for POWELL. In the final, HARRISON pressed from the start and there was a sense of inevitability when she threw POWELL for ippon after 94 seconds. The victory maintains the American’s command of the category while a career-best result for POWELL, who became the first British woman to win a World Masters medal, will bolster her bid to be selected for Rio 2016. The first bronze medal fight saw the 2011 world champion TCHEUMEO facing the winner of the Baku Grand Slam, Guusje STEENHUIS (NED), at the beginning of the year. 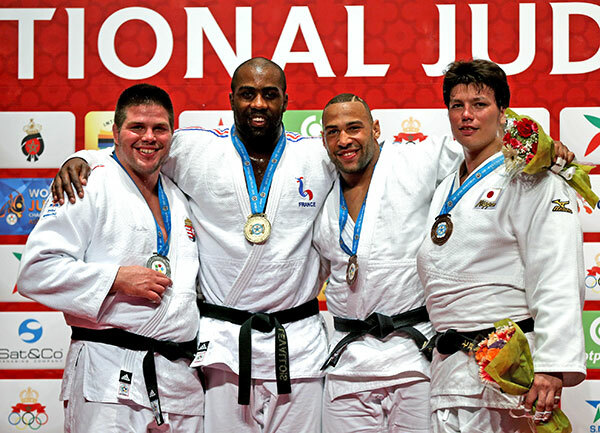 French fighter TCHEUMEO earned a place on the podium by waza-ari after four minutes of action. 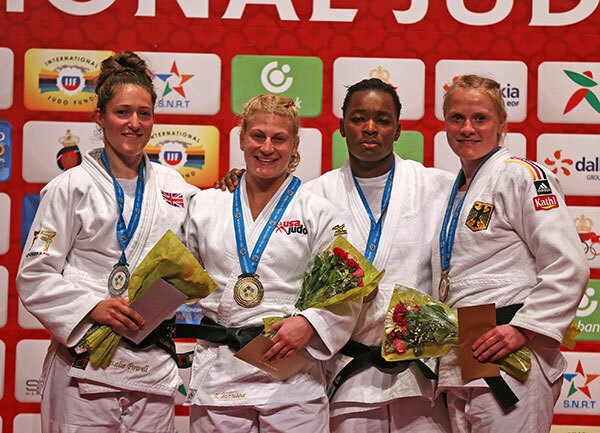 In the second bronze medal fight, Luise MALZAHN (GER) was opposed to the second Dutch athlete of the category, Marhinde VERKERK (NED) and the German fighter was able to secure the win in 29 seconds by ippon. The question at the beginning of the day was: Is Idalys ORTIZ (CUB), Olympic and world champion capable of winning the Masters’ title? The answer turned out to be no, as the Cuban was defeated twice, by Svitlana IAROMKA (UKR) during the preliminaries and by Nihel CHEIKH ROUHOU (TUN) in repechage. 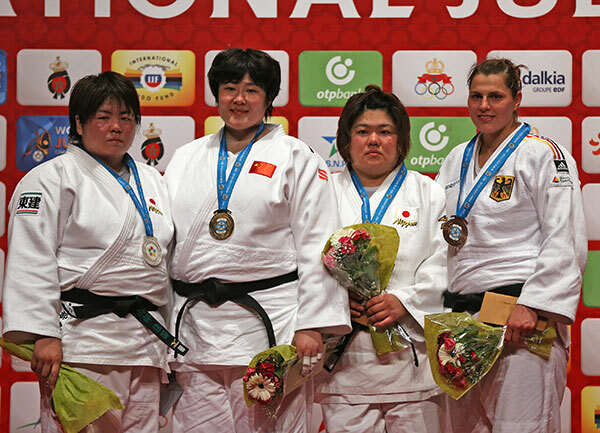 Thus the final opposed YAMABE Kanae (JPN) and the winner of the last edition of the Masters, in Tyumen 2013. After fifty seconds, YAMABE was penalised with a first shido for passivity and one more time a little later. With YU continuing to attack, YAMABE again received a shido, while both athletes entered the last minute of fight. With three shido against her opponent, YU finally won the gold medal adding a second World Master title to her prize list. The first bronze medal was decided between Nihel CHEIKH ROUHOU (TUN) and TACHIMOTO Megumi (JPN), who also already won the World Masters, but this was in Baku in 2011. After having been penalised for passivity with a shido, TACHIMOTO launched a left handed ashi-guruma for waza-ari. The second penalty received by TACHIMOTO didn’t change anything in the final result and the Japanese could add one medal to her team. Franziska KONITZ (GER) and Svitlana IAROMKA (UKR) fought for the second bronze medal. During most of the fight, neither of the competitors were able to score until KONITZ executed a o-uchi-gari for yuko that offered her the bronze medal. 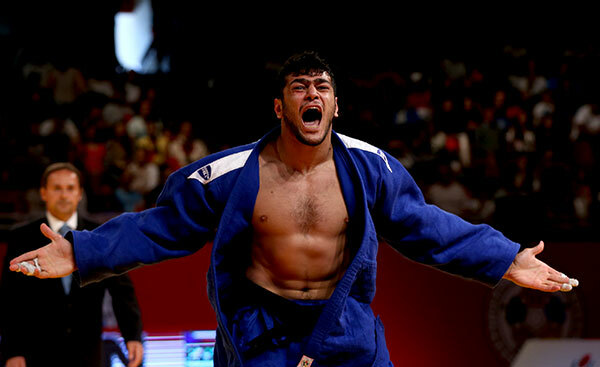 With the elimination of the current world champion, Avtandili TCHRIKISHVILI (GEO), in semi-final, and of Loic PIETRI (FRA) in the first round, the -81kg category proposed a lot of surprises to the large public present today in the stadium. The final opposed the 2009 world champion, Ivan NIFONTOV (RUS) and the winner of the last edition of the Tokyo Grand Slam, NAGASE Takanori (JPN). 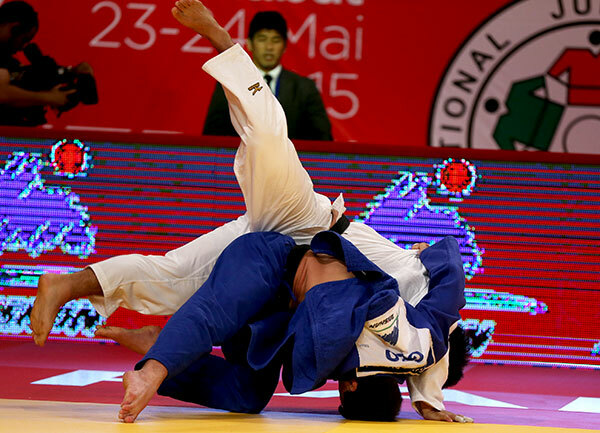 The Japanese concluded this second day of competition with an immobilisation for ippon. The first bronze medal fight opposed Roman MOUSTOPOULOS (GRE) and the conqueror of Loïc PIETRI, Sergiu TOMA (UAE), who just lost his semi-final by shido in the golden score. The first to score a yuko to take the lead was TOMA, who confirmed his advantage with a superb uchi-mata for waza-ari this time, and a yuko with sumi-gaeshi. The last penalties given to TOMA did not change the result and he could celebrate his bronze medal. The second bronze medal fight was a remake of the last world championships final as Antoine VALOIS-FORTIER (CAN) and Avtandili TCHRIKISHVILI (GEO) faced off for the right to step on the podium. The Canadian received the first penalty, before the Georgian scored a yuko. Despite the pressure that VALOIS-FORTIER put on the shoulders of TCHRIKISHVILI, he could not score and the medal went on the Georgian’s shoulders. Varlam LIPARTELIANI (GEO), who was the top favourite of the competition was eliminated early by Alexandre IDDIR (FRA), after the Georgian grabbed the leg of his opponent and was disqualified. This opened the way to the winner of the 2014 Asian Games YOSHIDA Yuya (JPN), who produced some of the most spectacular techniques of the day during the preliminary rounds. In the final he was opposed to the second Georgian athlete of the category, Beka GVINIASHVILI. A little less than three minutes were necessary for GVINIASHVILI, to replace another Georgian on the top of the podium, and to score ippon with a outstanding koshi-waza technique. 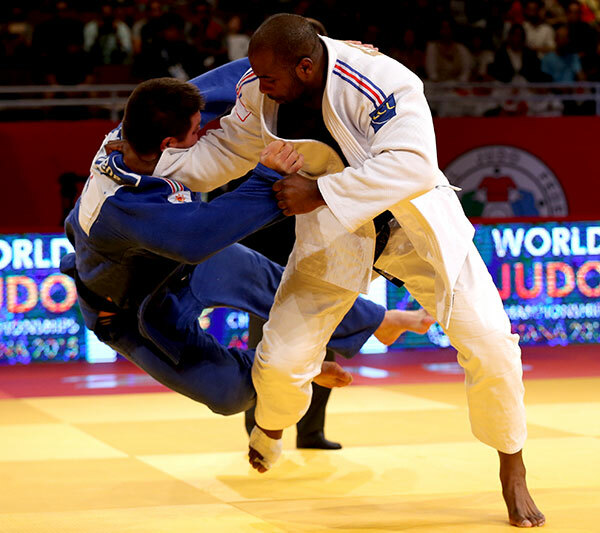 The first bronze medal fight opposed Alexandre IDDIR (FRA) and the 2013 world champion Asley GONZALEZ (CUB), who won the fight after a strong battle, concluding with a waza-ari for the Cuban with a drop-seoi-nage. In the second bronze medal contest, Noel VAN T END (NED), who eliminated the world and former Olympic champion Ilias ILIADIS (GRE) with a superb ippon, was facing the 2013 European champion, Kirill DENISOV (RUS). Largely dominated by DENISOV, VAN T END had some difficulties trying to take the advantage and he was even penalised with a shido. Insisting on a left handed ko-uchi-gari, but with no control, the Russian was not able to score either, when VAN T END successively launched a drop-seoi-nage and a sode-tsuri-komi-goshi, both for waza-ari and a great result for the Dutch athlete. After a first round win against Jose ARMENTEROS (CUB) and a second against the 2013 world champion, Elkhan MAMMADOV (AZE), the current world champion, Lukas KRPALEK (CZE), entered the final after a last victory against Toma NIKIFOROV (BEL). 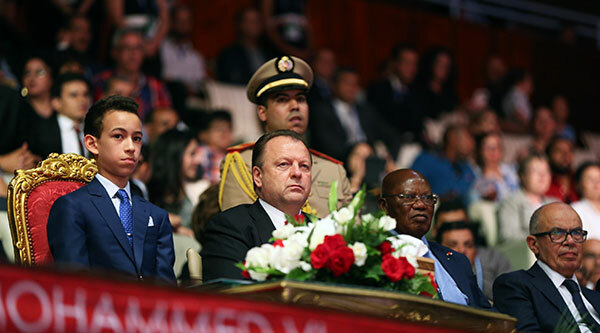 For the gold medal, he was opposed to Elmar GASIMOV (AZE), winner of the Tbilisi and Samsun Grand Prix this year. Totally dominated by KRPALEK, GASIMOV seemed to be incapable of posing any danger the world champion, but the Azeri was actually the first to score waza-ari. With less than a minute to go, the mission still looked complicated for GASIMOV who got thrown but only for yuko. But this was too late for KRPALEK, who will probably have some regrets tonight for not having put more pressure on his opponent. 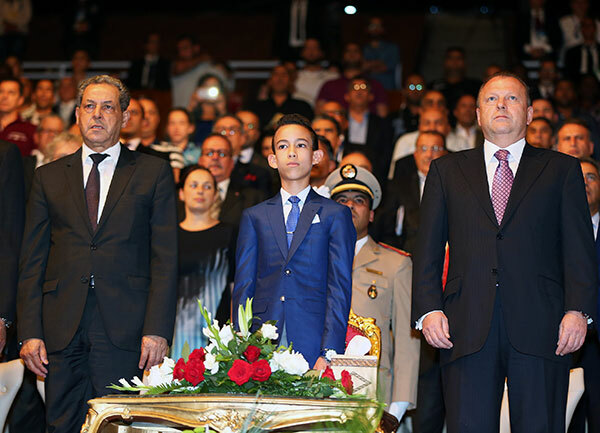 The first bronze medal fight opposed the winner of the 2014 Tashkent Grand Prix, Ramadan DARWISH (EGY) and the three times world medallist and Olympic medallist Henk GROL (NED), who already has two medal at the masters as well. With a superb aerial uchi-mata, DARWISH scored ippon to offer the first medal to Africa on the occasion of this edition of the World Judo Masters. 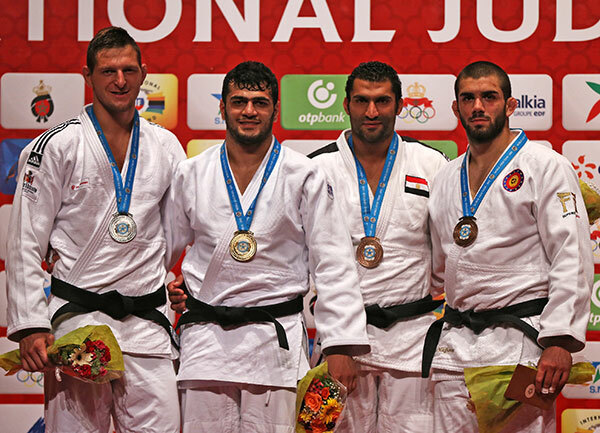 The second bronze medal fight opposed Martin PACEK (SWE) and his sutemi-waza techniques and Toma NIKIFOROV (BEL), who defeated Cyril MARET in the first round and Ramadan DARWISH (EGY), in quarter-final. PACEK scored the first with a o-uchi-gari for yuko and then seemed to perfectly control the situation, playing with the penalties, until 23 seconds before the end of the fight. Taking the opportunity of an attack from the Swedish, probably lacking of a bit of control, NIKIFOROV propelled him over his shoulder with a ura-nage for ippon. 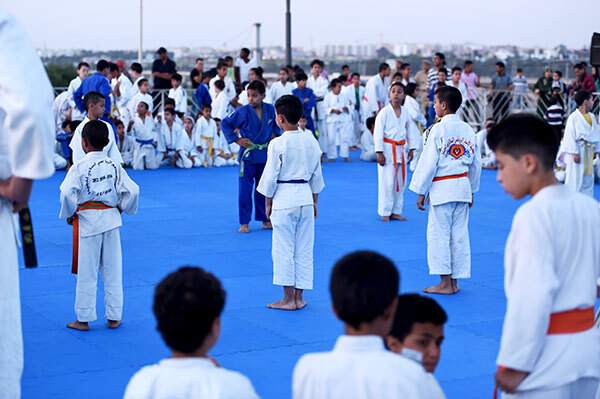 The most awaited category of the day was the men’s heavyweight field with the participation of Teddy RINER, who actively participated in the building of the project to host the Masters in Morocco. With a slight injury two days ago, the French fighter was uncertain at the beginning of the day. But once on the tatami, he showed all his talent to win all his fights with spectacular ippons, the last one being against SHICHINOHE Ryu (JPN) in the semi-final. The rematch of the last world championships in Chelyabinsk between the French and the Japanese was particularly interesting. SHICHINOHE was definitely less ’shy’ than in Chelyabinsk, and tried to find a solution against the French giant. 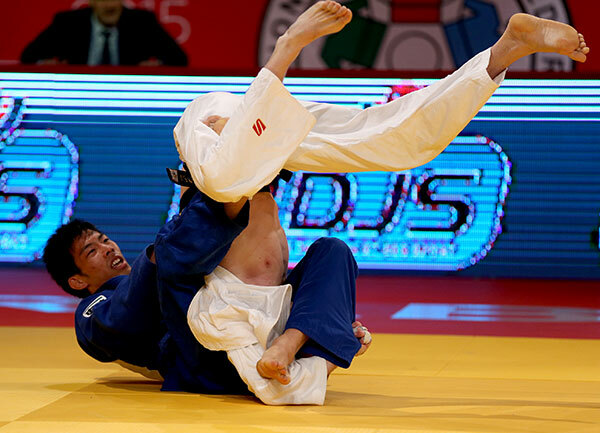 But RINER threw him with an extraordinary o-soto-gari for ippon. In the final RINER was opposed to the experienced BOR Barna (HUN). Having nothing to lose, BOR started the fight with a high rhythm obliging RINER to remain careful on his legs. BOR was then penalised for a defensive position. The two athletes entered the last minute, still with only one shido. 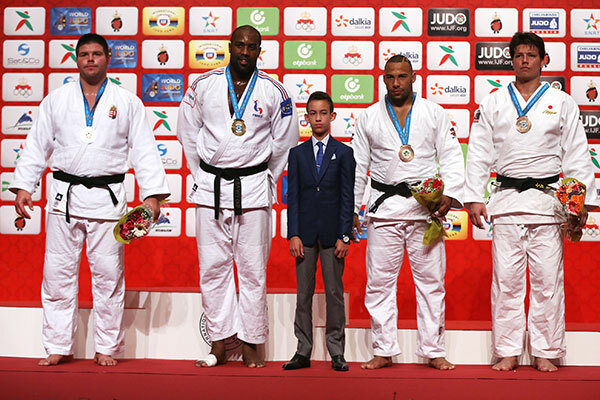 But the Hungarian was penalised a second and third time before Teddy RINER could really adjust one powerful attack with a o-soto-gari, for ippon. With no doubt, RINER remains the World Master. 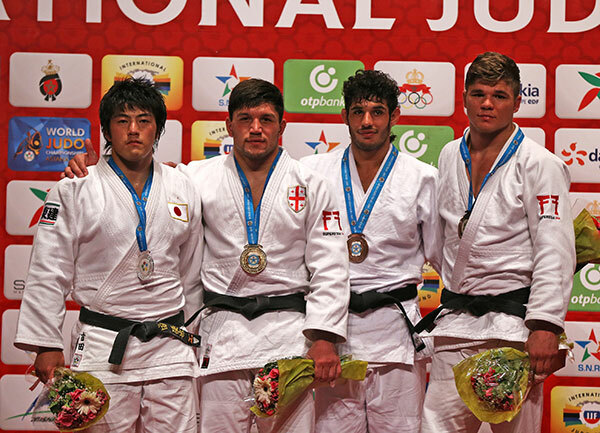 The first bronze medal fight opposed Levani MATIASHVILI (GEO) and Roy MEYER (NED), who was very close to enter the final, being only defeated by BOR with a yuko, a few seconds before the end of the semi-final. After one minute, MATIASHVILI was penalised with a first shido, giving a tiny advantage to MEYER. Struggling with thethe mixed kumikata of the Dutch, the Georgian judoka who was changing from one side to the other one was penalised a second time. For the remaining time, MEYER just had to control, to launch one or two attacks and he could secure the score to step on the podium. 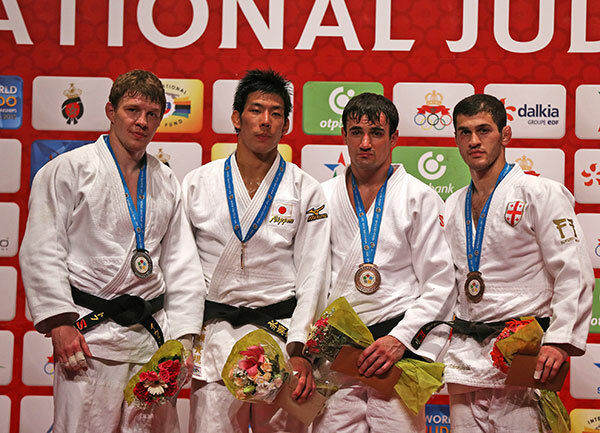 The second bronze medal fight saw Renat SAIDOV (RUS) facing SHICHINOHE Ryu (JPN). The first penalty went to SAIDOV after less than a minute, copied a few seconds later by SHICHINOHE who was also penalised for escaping. One more minute, and this time both athletes received a shido for passivity. One false attack later, SAIDOV received a third penalty, and could not escape longer from receiving the fourth one for hansoku-make and a bronze medal for SHICHINOHE.